[WINTER THERMAL GLOVES]: The thickened liner is soft, comfortable and warm to wear. The extended elastic knitting cuff can close fit your wrist and effectively keep out the wind. 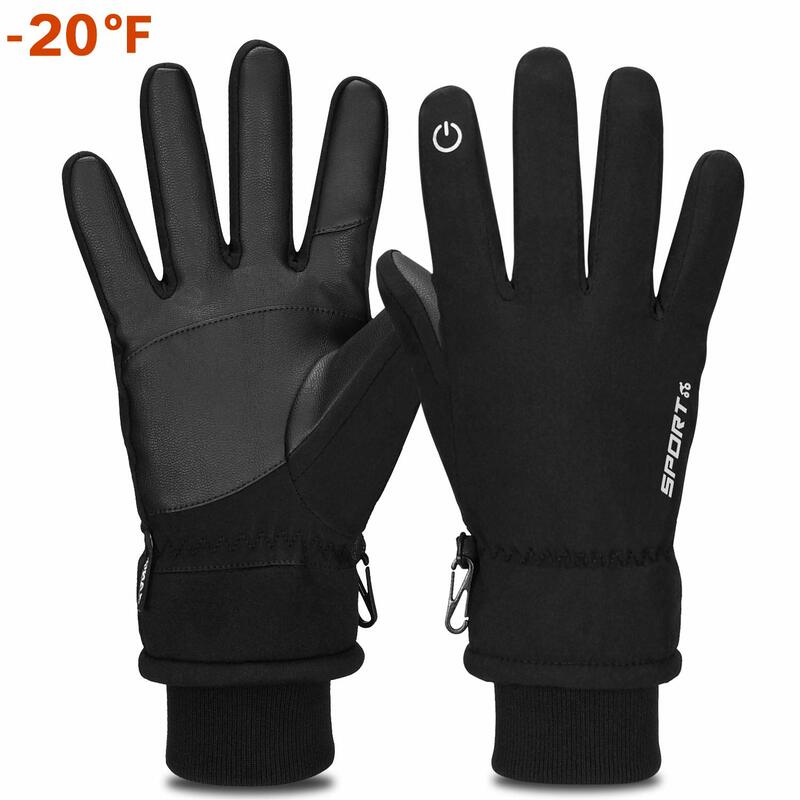 With the men women winter gloves on, you can enjoy outdoor sports at any time. [WATERPROOF AND ANTI-SLIP]: Winter warm gloves are made of high density water resistant material, which can keep your hands warm and dry in light rain or snow. The anti-slip leather on the palm of waterproof gloves makes cycling and other outdoor sports safer. [TOUCH SCREEN COMPATIBLE]: The index finger of driving gloves is made of conductive PU, working with mobile phone, iPad and other touchscreen devices, so using your smart phone in the cold winter whilst wearing mens thermal gloves is no longer a problem. Yobenki Winter Cycling Gloves Accompany You Through Every Cold Winter! Winter is coming, a pair of warm gloves is essential and necessary in this season, and a pair of multi functional gloves can make life easier. Are you still looking for a pair of suitable gloves? Yobenki gloves definitely deserve to be your choice. What features do our gloves have? [OTHER DETAILS]: The loss prevention hook of running gloves solves the problem that you can only finding one glove. Ergonomic design increases the comfortableness of wearing the touch screen gloves. Simple and fashion outlook, suitable for both men and women. 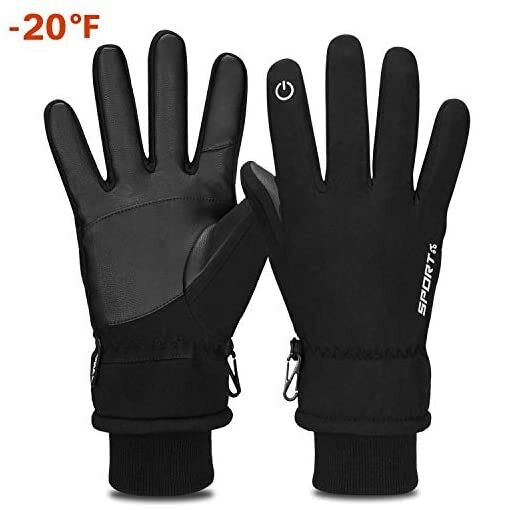 [MULTI-PURPOSE GLOVES]: Winter cycling gloves are ideal for winter outdoor activities, such as cycling, driving, skiing, climbing, hiking, running, etc. It’s a necessity in this cold winter. It’s also a great gift for yourself, your family and friends in the cold days.